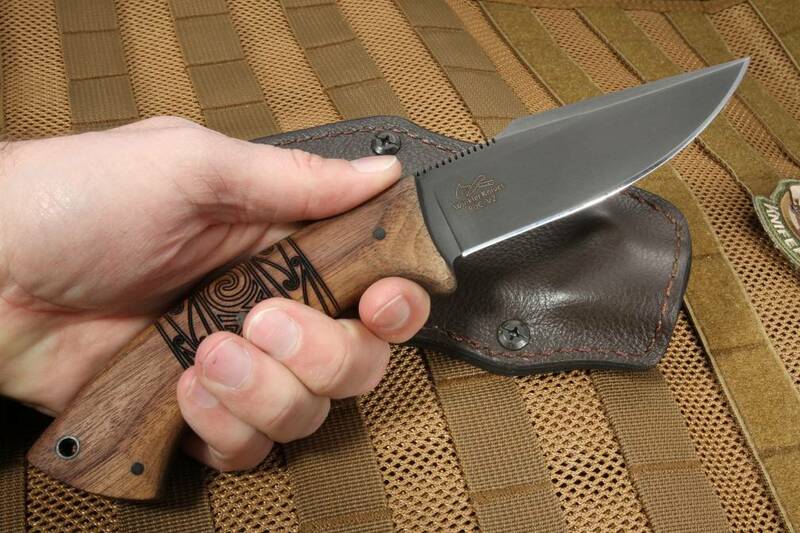 Jason Knight and Daniel Winkler, both American Bladesmith Society Mastersmiths, collaborate together on the Pathfinder model designed by Jason Knight. Jason Knight is recognizable as an amazing knifemaker as well as a judge on the hit television show, Forged in Fire. 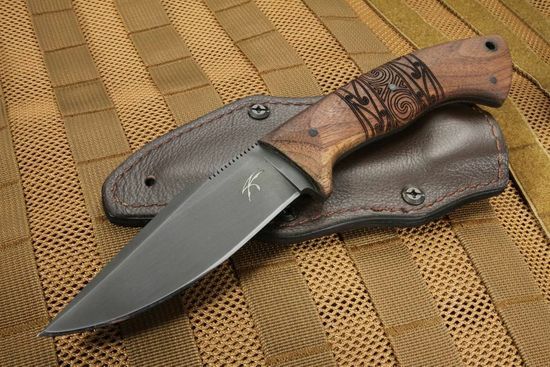 The Pathfinder has an 80CRV2 steel blade that is 4.5" long with a protective caswell finish as well. Jimping covers the thumb rest of the blade spine for added traction. The face side of the blade has the Jason Knight logo while the reverse side has the Winkler Knives logo laser engraved. 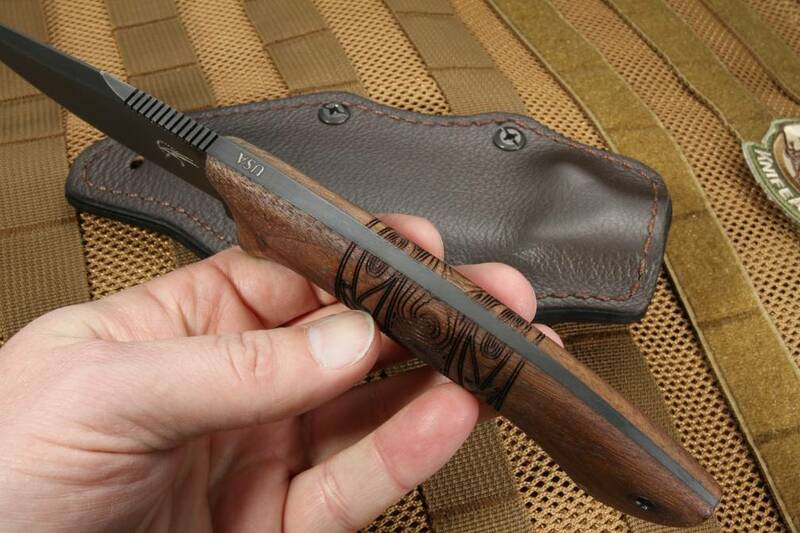 The handle on the Pathfinder fixed blade is premium Walnut with a laser engraved tribal pattern on both sides. The contour and grip that this walnut handle feels as well as it performs while looking amazing. Full tapered tang design provides excellent balance and strength. Lanyard hold in the rear section of the handle. 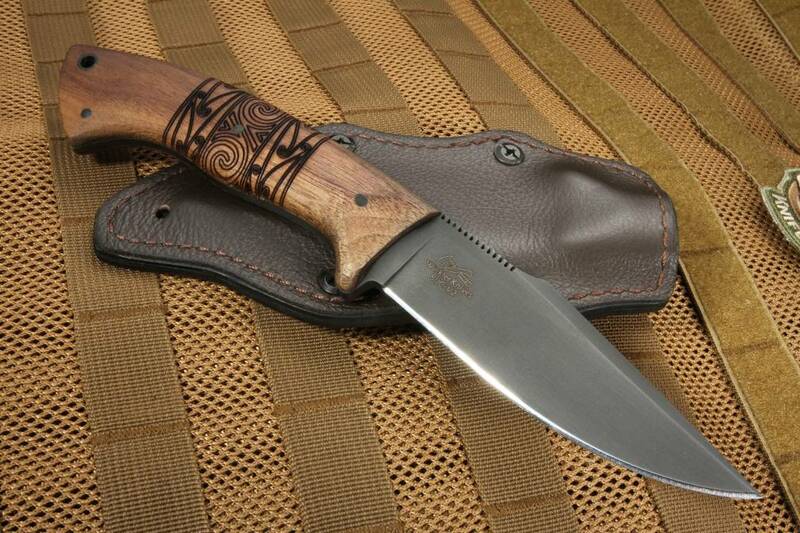 When you look at this knife and sheath, the quality and design of the sheath are instantly recognizable. Premium leather over black molded kydex with a felt lining. 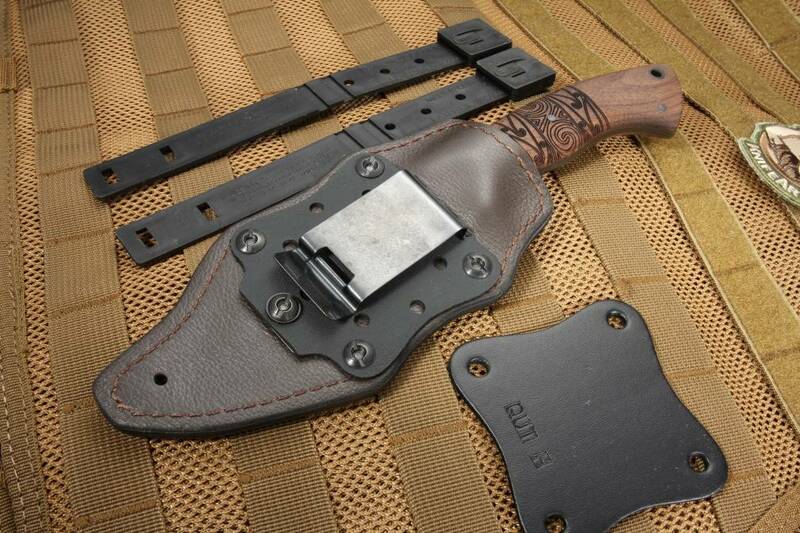 Sheath features multiple carry options that make it perfect for belt, pack or molle vest carry. 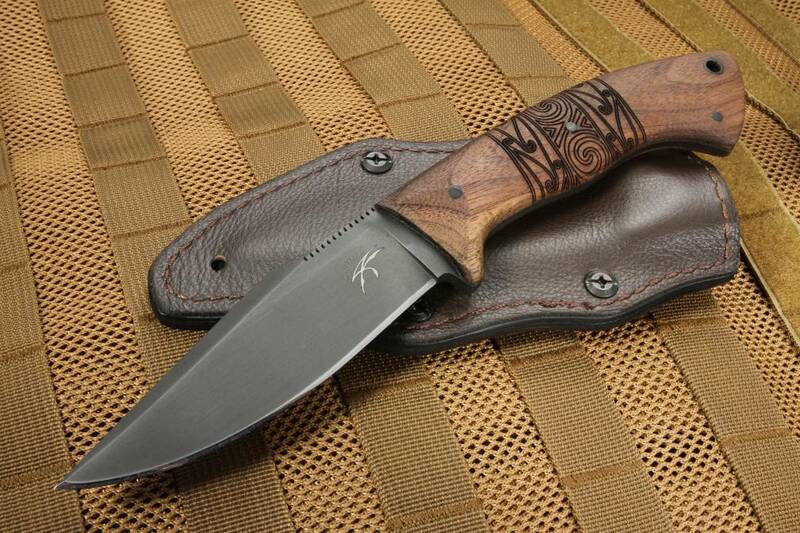 KnifeArt.com is proud to have worked with and represented Jason Knight and Daniel Winkler for well over 10 years. Made with pride in the U.S.A.